I have always wondered who came up with the fashion rules that most of us live by. You know the ones I mean the do’s and don’ts – like you have to wear black to a funeral or you can’t wear white to a wedding. OK maybe not that one as that one is about simple etiquette. But you get the point I’m trying to make. Somehow these rules find their way into our lives on a subconscious level and we find ourselves following them without even realising it. Well guess what? 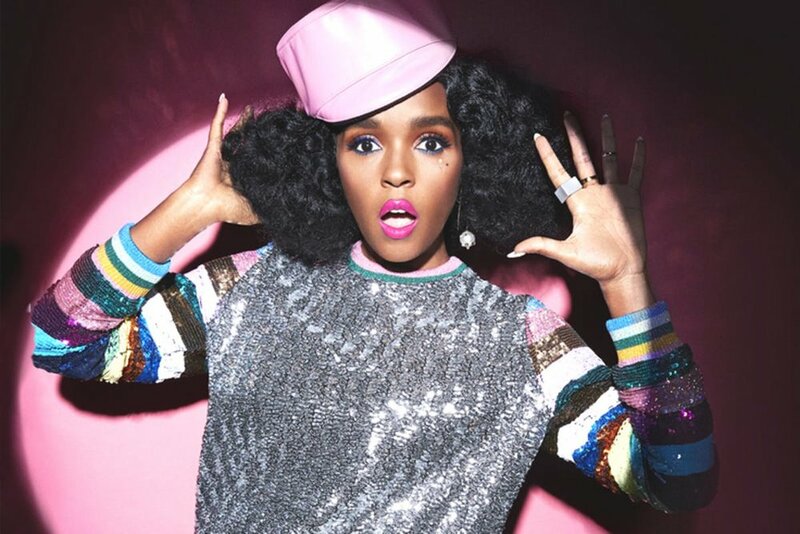 I’m here to tell you that you need to tear up the rule book, burn it, throw it in the recycle bin (if that floats your boat) because it’s safe to say that when it comes to fashion and more importantly style, anything goes. This can be a good thing as I believe that it gives people the opportunity to be their true authentic creative selves. You can be more daring and push the style boundaries as far as you are comfortable with them. 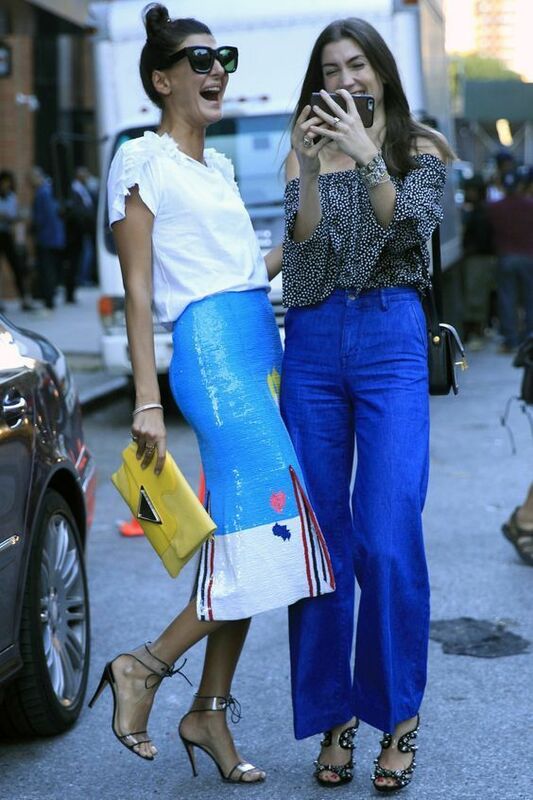 If you look at Street Fashion especially during fashion months you will see lots of style ideas and combos that you maybe never thought of before. Such as dresses over trousers, chunky trainers with delicate dresses or jackets worn over coats. I know when I was growing up if my mum had tried to send me out the house in any of the above-mentioned outfits I would have been mortified. Not only that, but I would have been the laughing stock of my peers and become a social pariah. Before I started writing this post I didn’t realise how many sequin pieces I actually have in my wardrobe. The trick with wearing sequins during the day is to wear modest silhouettes to avoid channelling Studio 54 circa 1977. 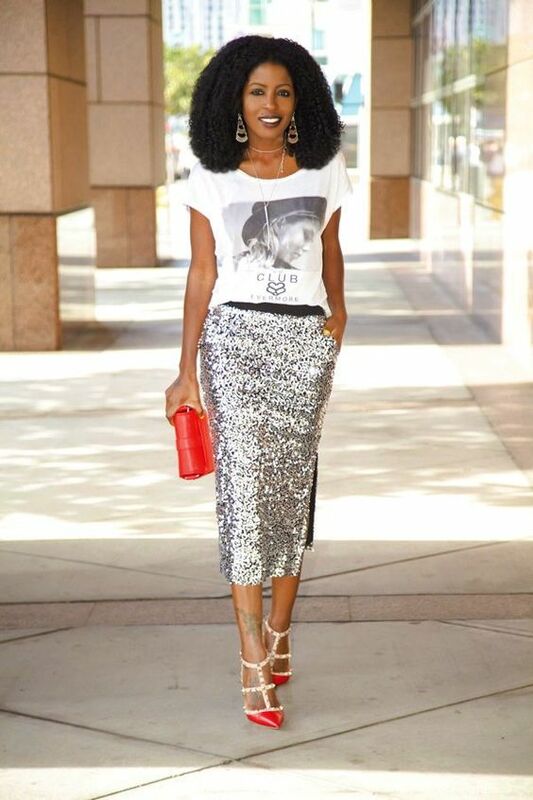 A sequin midi skirt with pared back classics such as a simple slogan Tee and trainers looks very chic. Below are a few of the items I have in my wardrobe, and I have put together some similar items that are currently available to help you to achieve the look whether you are on a budget or have cash to burn. Sequins are no longer confined to disco nights and New Year’s Eve. Now staple fashion items such as trousers and shift dresses are being covered in sequins and are worn during the day. 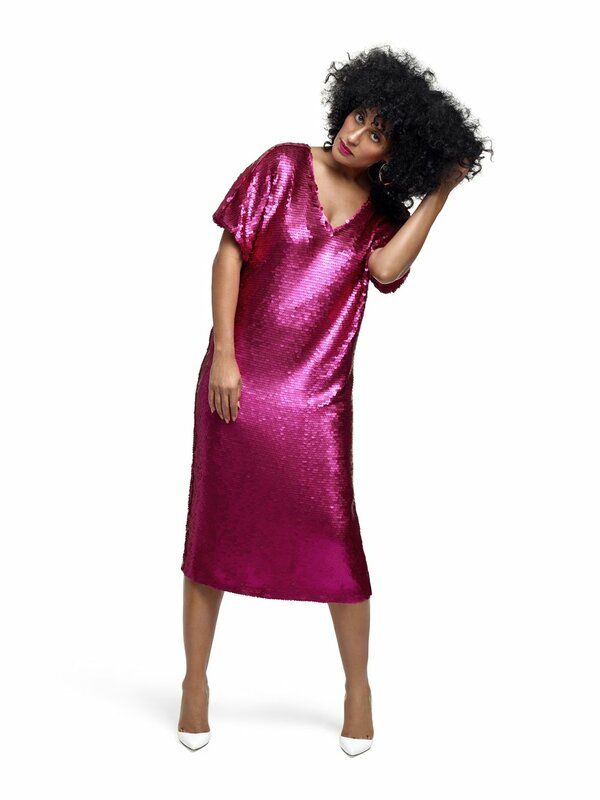 The unique thing about sequins is that they make anything look high end without having a hefty price tag. Anyone who wears sequins obviously doesn’t take themselves too seriously - they are vibrant and enjoy having fun. As the saying goes “When in doubt – OVERDRESS!! What do you think of the sequin trend? Do you dare to rock them during the day? As always, I’d love to hear your thoughts. Leave a comment below.